On September 1st the Newport Dunes in Newport Beach,CA hosted “Boots on the Beach”. 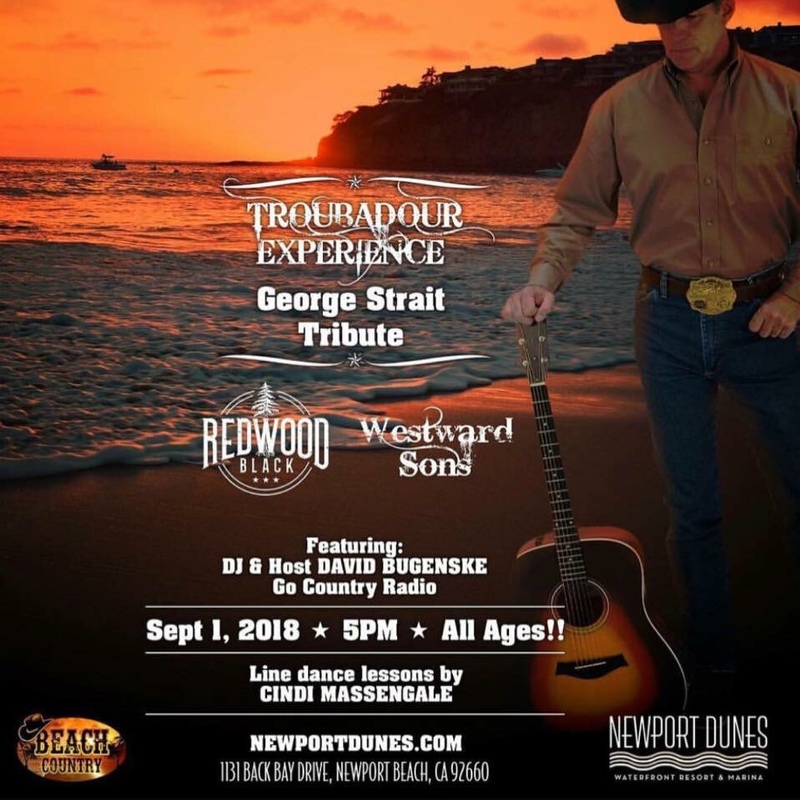 I had the chance to attend this event, usually held a few times a year, which featured Westward Sons, Redwood Black and Troubadour Experience, a George Strait tribute band. To round out the event there were VIP sections closer to the stage for better seating, a space for line dancing, a few vendors and food trucks. The highlight of the night was getting the chance to finally see Redwood Black, a primarily cover band with original songs as well. Redwood Black plays gigs all around Southern California and I’ve been anxious to see them for quite awhile. Redwood Black rocks! They put on a great show, easily handling the small stage and clearly ready for larger ones. I highly recommend any country music fans in So Cal to see the band perform any chance you get. They put on a great show, have a solid fan base and more original songs are on the way!